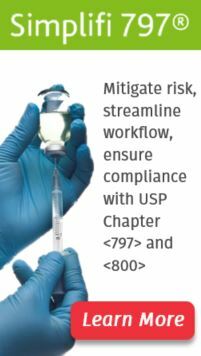 CriticalPoint: Strategies and Considerations Essential to Operation of a 503B Outsourcing Facility & Certification Program – Coming Soon! Strategies and Considerations Essential to Operation of a 503B Outsourcing Facility & Certification Program – Coming Soon! CriticalPoint, the industry leader in sterile compounding and custom E-learning programs is currently in the process of expanding its training efforts to include a live training program titled: Strategies and Considerations Essential to Operation of a 503B Outsourcing Facility. In addition, attendees will be eligible for CriticalPoint’s Qualified Person 503B™ Certification Program. This course will provide a comprehensive overview of concepts and practice required by the FDA for entities that register as a 503B Outsourcing Facility. Good manufacturing practices (CGMPs) must be internalized, integrated and followed in 503B operations. Attendees will receive 28.5 Continuing Education Hours (4 hours of home study and 24.5 hours live training including 1 hr of law). Through lecture, interactive discussion and lab practicum exercises, concepts and practices are communicated to address deficiencies found in 483s. Central to the concept of the CGMPs is the constant drive to remove variability from processes since without consistency quality cannot be achieved. Faculty that teach this course have experience in reengineering pharmacy practice models that resulted in the type of quality culture expected by the Federal Food and Drug Administration. 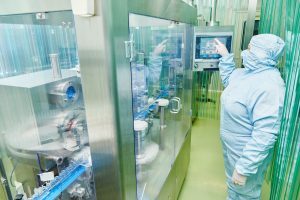 In order to move from a pharmacy model to a manufacturing model sweeping changes must be made not only to procedures but also to the fundamental organizational culture. Participants in this course will be required to successfully complete 4 hours of eLearning. The web-based curriculum will ensure participants acquire a comprehensive understanding of how and why 503B practice evolved. It also summarizes each of the FDA draft and final guidances so that learners know where to seek guidance for 503B practice. 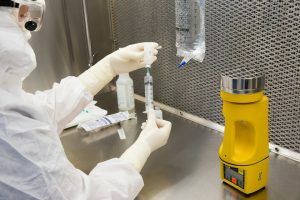 Successful completion of this course will prepare pharmacists to fulfill the role required by the Compounding Quality Act (known as the Drug Quality and Safety Act or DQSA) which requires that drugs are compounded in compliance with the CGMPs under the direct supervision of a licensed pharmacist. Qualified Person 503B™ Certification Program. CriticalPoint will also be launching its QP503B™ Certification program. Successful completion of the program requirements will result in the acquisition of specific essential knowledge and skills that will facilitate an individuals’ ability to successfully plan, develop and operate a 503B Outsourcing Facility. Eligible participants for the QP503B™ Certification successfully complete a didactic program of home study, live training and practicum activities accompanied by required objective personnel and cognitive testing. The goal of this program is to provide an immediate opportunity for 503B Outsourcing Facilities to train at least one individual in the strategies and requirements essential to the operation of this type of entity. Held at CriticalPoint's Center for Training and Research in Totowa, NJ these training programs deliver high-quality, cost-effective professional development and networking opportunities. We believe that the best way for pharmacists and other healthcare professionals to understand and implement current standards of practice is to be immersed in a setting that provides access to a comprehensive curriculum in a real-life setting with hands-on practice mentored by faculty who are subject matter experts.